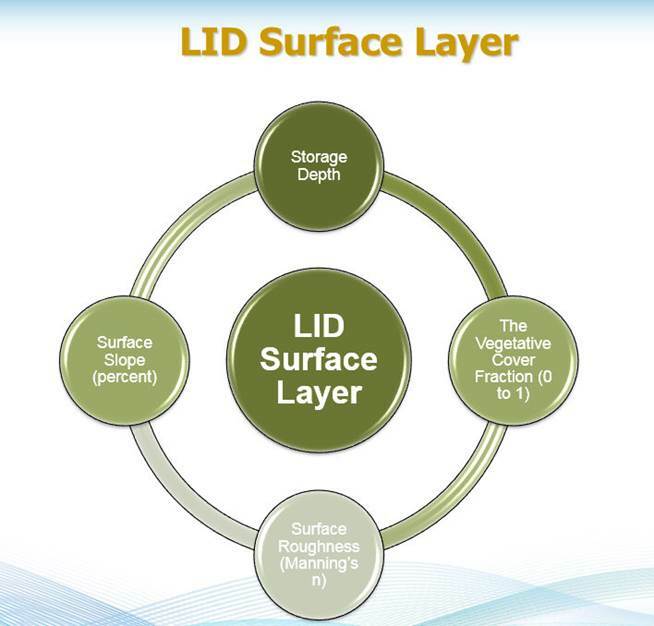 When a user adds a specific type of LID control object to a InfoSWMM project the LID Control Editor is used to set the design properties of each relevant layer (such as thickness, void volume, hydraulic conductivity, drain characteristics, etc.). These LID objects can then be placed within selected Subcatchments at any desired sizing (or areal coverage) by editing the Subcatchment’s LID Controls property. 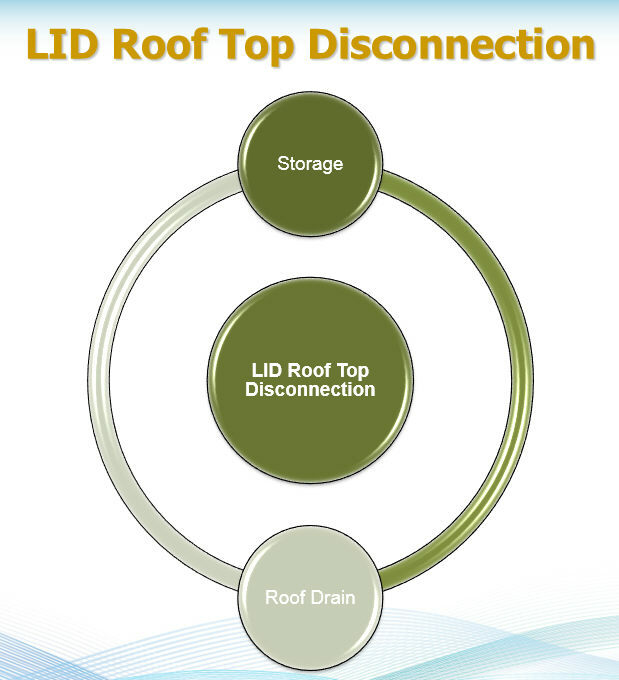 The two layers used in a simulation for a Rooftop Disconnection LID are shown in the following image. 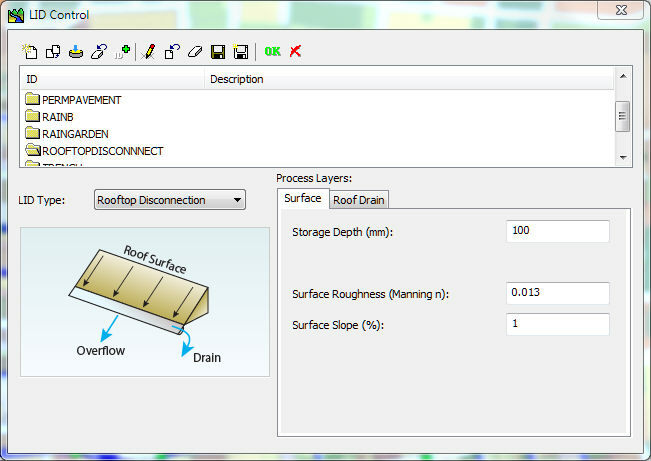 The parameters required for rooftop disconnection are the length of the flow path for roof runoff (the inverse of the W1/A1 term in Equation 6-21), the roof slope, the roughness coefficient for the roof surface, the depression storage depth of the roof’s surface, and the flow capacity of the roof drain system (q3max).